"Polar vortex" is a phrase you've likely heard before, but what exactly does it mean? The arrival of cold air during the winter is something we expect every year, but sometimes an extra cold air mass drops into our area. This time, that air mass is the polar vortex. It's a phrase you've likely heard before, but what exactly is it? A polar vortex is an upper level low that typically stays over the polar regions, as its name suggests. Brian Smith, the Warning Coordination Meteorologist at the National Weather Service in Valley explains some weather patterns can cause the polar air mass to move. "It's going to come out of Manitoba and then comes diving down into the Midwest and Great Plains area." While it isn't unusual for pieces of the polar vortex to break off from the main air mass and impact us, this time is different. "In this case though, the actual upper level low is coming right down over into the Great Lakes regions. It's a little bit unusual to see that happen. That doesn't happen very often," Smith adds. In fact, the last time the polar vortex directly impacted the Midwest like this was back in early January 2014. With the cold air and wind leading to dangerously cold wind chills, Smith warns people to be prepared. "We haven't seen sub-zero temperatures very often the last few years, which makes people a little bit complacent," Smith says. 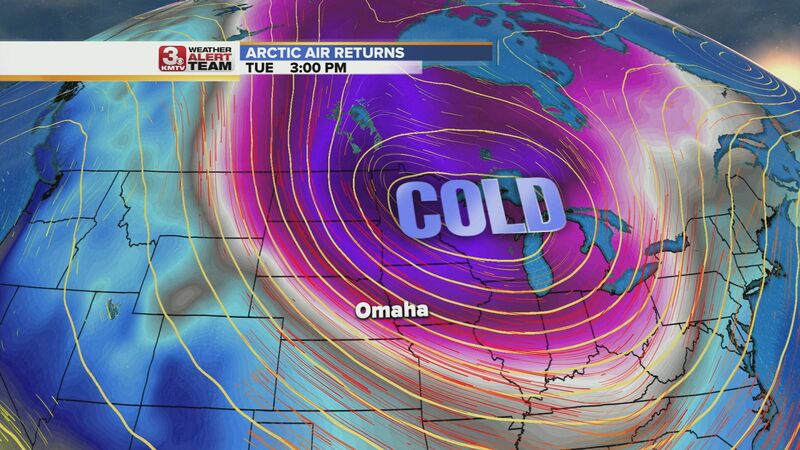 And although the phrase "polar vortex" can get thrown around a bit during the winter, this time is the real deal.